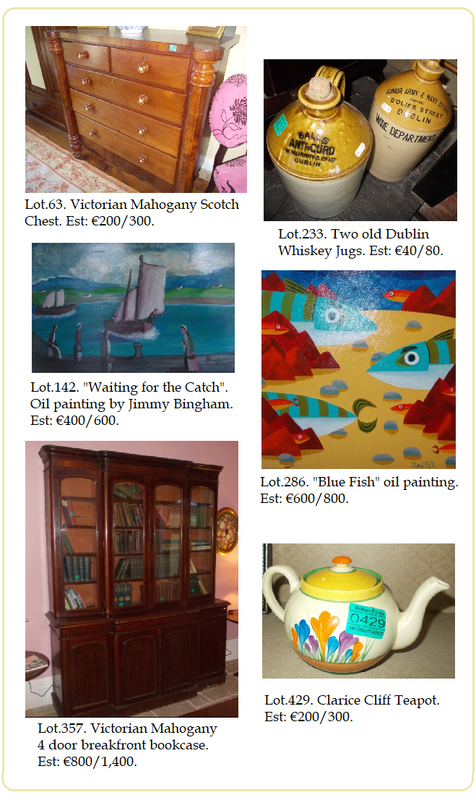 Everything bar the kitchen sink is included in Aidan Foley’s Galway Auction this Saturday. 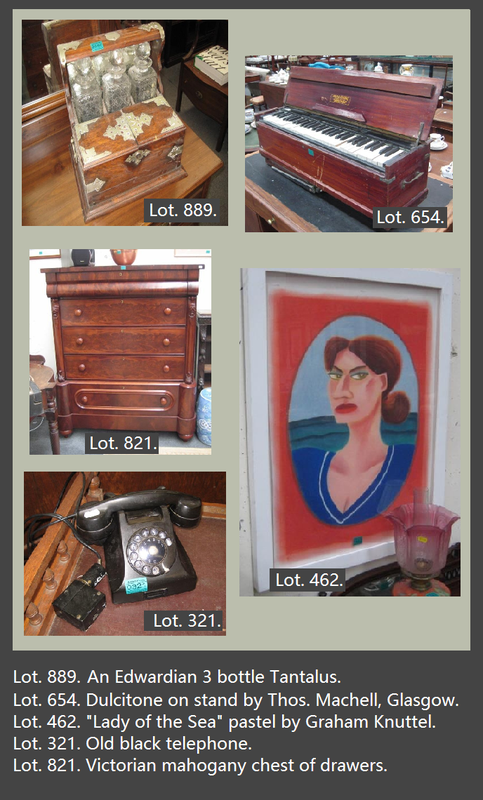 There is something for everyone with estimates from €10 to €3000. 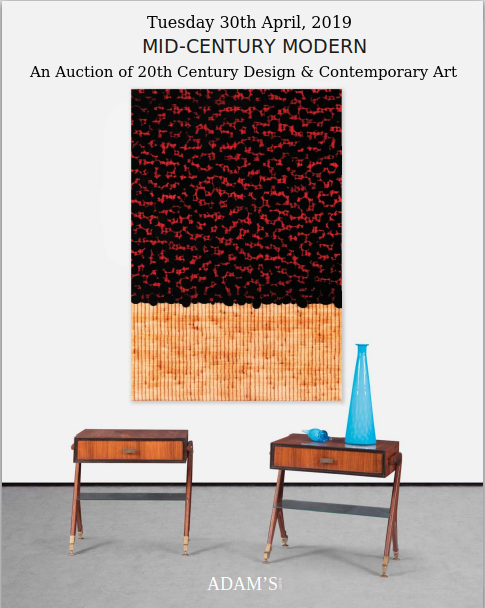 Art by Knuttel, Arthur Madderson, Markey Robinson, Augustus John, Lorna Millar and good collection of `19th Century Oil Paintings. 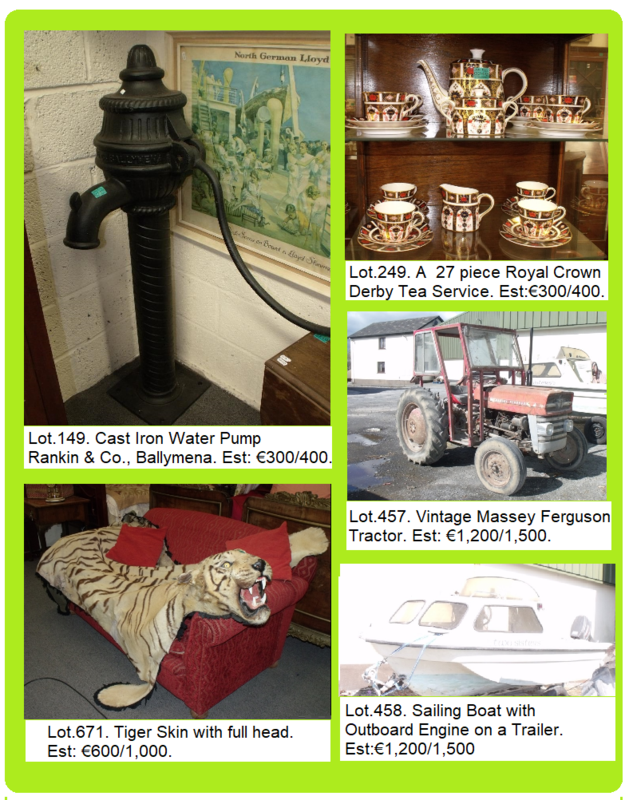 Collectables include two Large Albums of Irish Stamps, Model Cars, Waterford Glass, China; and amongst the more unusual items in the sale are full a Tiger trophy carpet, a Vintage Massey Ferguson Tractor and a Motorboat! Live bidding available. 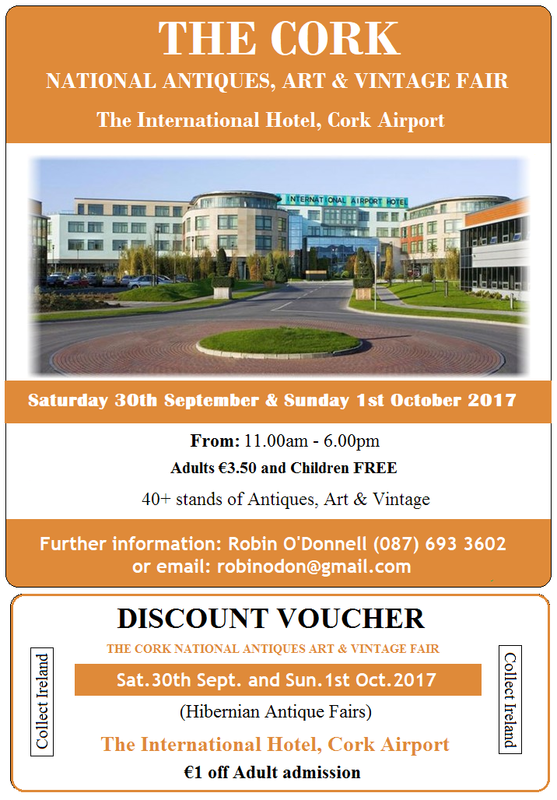 Big Antiques Weekend in Cork City! 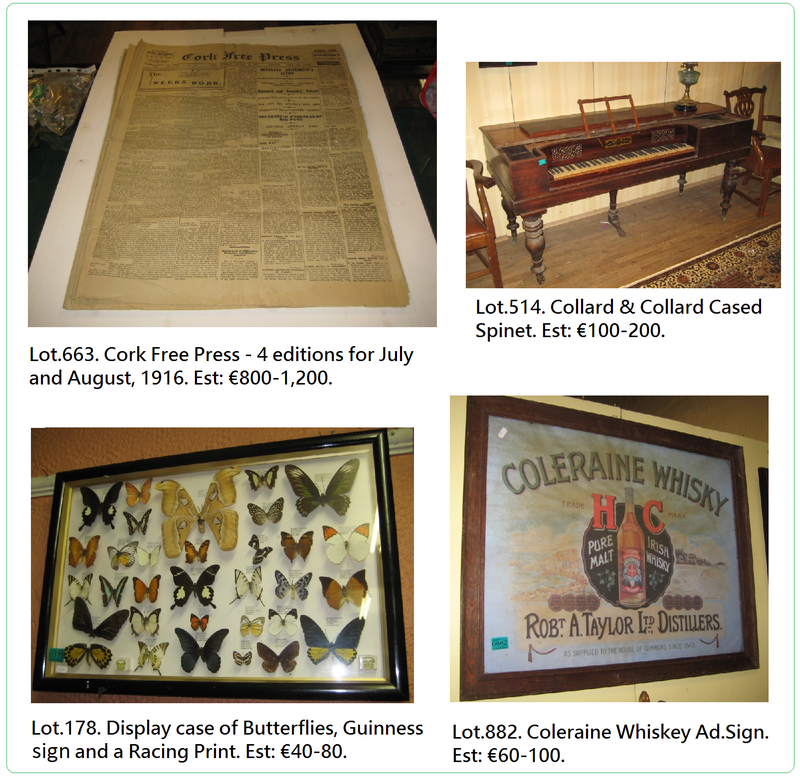 This weekend Cork is the place to be for Antique collectors with Robin O’Donnell’s (Hibernian Antique Fairs) two-day Fair at the International Hotel, Cork Airport; and Aidan Foley’s (Irish Country Home Auction) “On the Premises” sale at Aras Tara, Blackrock. Within a stone’s throw of each other it should be easy to take in both venues. Truly something for everybody in the audience! 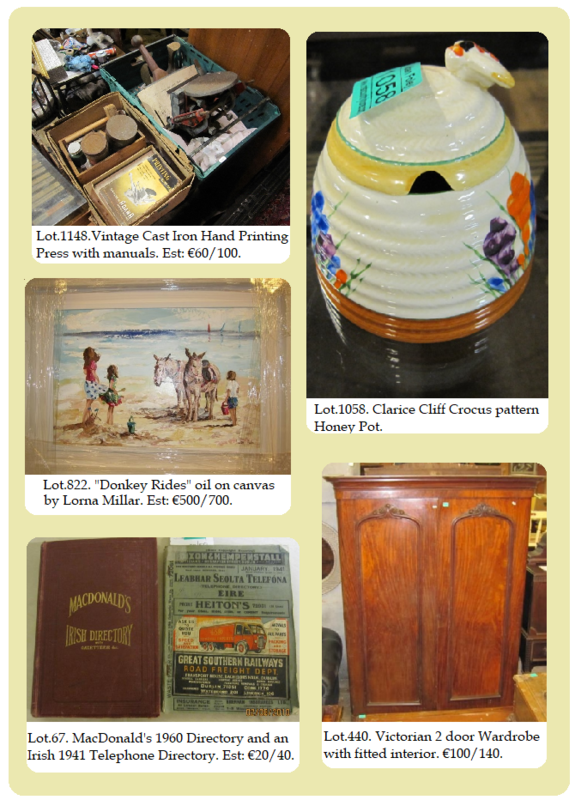 Furniture, paintings, ceramics, books, musical instruments and much more besides. 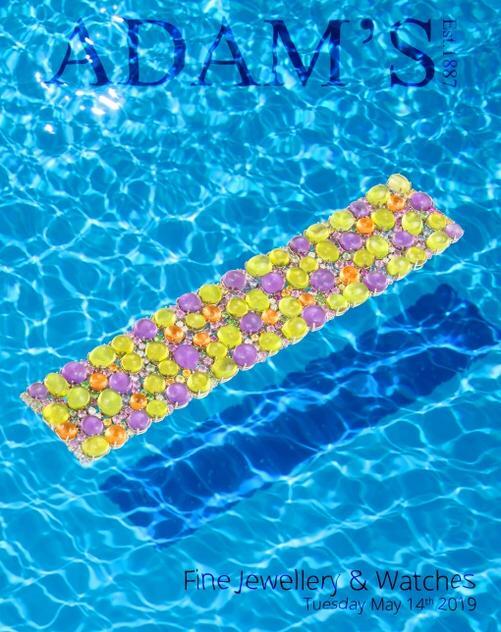 Be sure to check out the catalogue below. 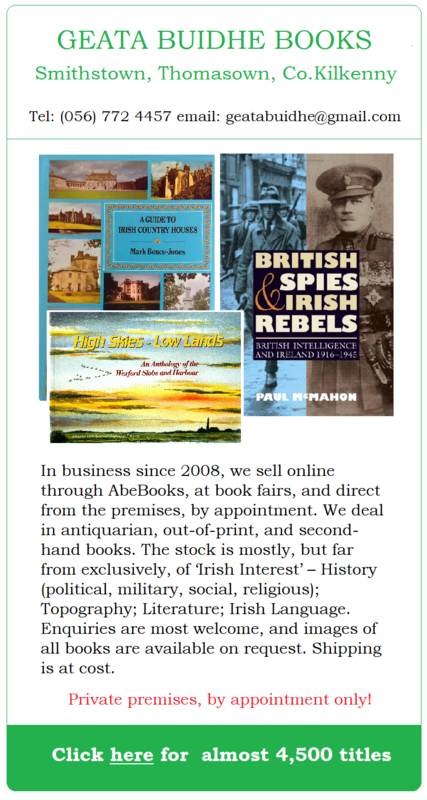 And a quick taster to whet your appetite below.